Living in Norfolk, I am well aware of the possible impacts of climate change on sea level rise - I moved away from the coast, where my house was just 8m above sea level some years ago. There are some further changes which are likely to happen over the coming decades, as a result of melting ice caps, and the thermal expansion as oceans warm. Happisburgh is a place where this is playing out right now, along with other locations along low-lying coastlines, such as the Holderness Coastline. Climate Change vulnerability is part of the report here. Our Year 11 students have been introduced to this document. Overall, we conclude that the current approach to coastal management in England is unsustainable in the face of climate change. Coastal communities, infrastructure and landscapes already face threats from flooding and coastal erosion. These threats will increase in the future. In the future, some coastal communities and infrastructure are likely to be unviable in their current form. This problem is not being confronted with the required urgency or openness. Sustainable coastal adaptation is possible and could deliver multiple benefits. However, it requires a long term commitment and proactive steps to inform and facilitate change in social attitudes. 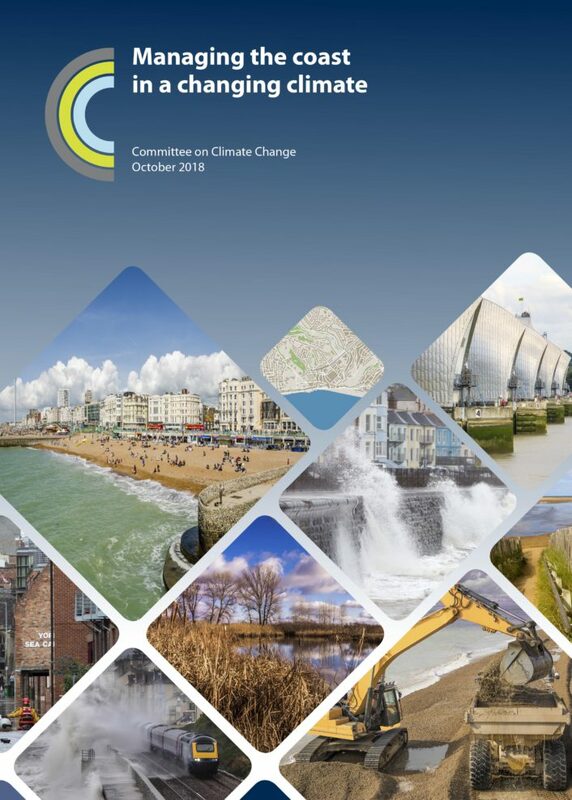 It would be a good idea for students / teachers to fillet this document, to identify appropriate local and national strategies for climate change in the UK.